Nadi Gallery organized a charity art exhibition for artist S. Teddy Darmawan who, on November 27, 2012, underwent a tumor operation. Participated by 25 artists who are close friends with Teddy, the exhibition displayed the latest trends in the world of contemporary arts in Indonesia. 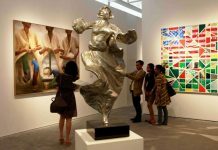 Exhibitions are not only organized to showcase an artist’s achievements or promote an important or interesting theme in the world of fine arts. They can also be held as a charity activity. 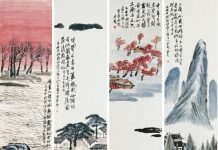 But a charity exhibition that successfully displayed the works of artists of high reputation whilst maintaining quality is an event worth referring to. One such exhibition is the Dermawan untuk Darmawan (Charity for Darmawan) at the Nadi Gallery in Jakarta, March 5-26, 2013. The exhibition was a quick response from artists, who are close friends of Teddy. With 25 artists taking part, the exhibition is a proof of Teddy’s position in the eyes of other contemporary artists and painters in Indonesia. 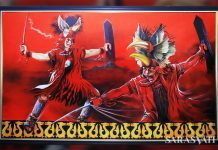 With Enin Supriyanto as the curator, the Dermawan untuk Darmawan exhibition displayed 2D (dwimatra) and 3D (trimatra) works of 25 artists. It is interesting to see the developments within the works, particularly in the context of a charity exhibition, which should be held to sell the works and donate the money earned. A lot of charity exhibitions miss their actual purpose because the artists often neglected to create works that sell easily. Prices should be lower than what the market would present. But Nadi Gallery did not forget this purpose. The Dermawan untuk Darmawan art exhibition not only expressed solidarity among artists, it also showed that works created for charity could still demonstrate an agreement between social goals and aesthetics. The two dimension and three dimension works from the 25 artists were not created in haste. In fact, the atmosphere of emotion and support became encouragements and inspirations for the artists in creating their works.